GSAT-6 is the twenty fifth geostationary communication satellite of India built by ISRO and twelfth in the GSAT series. Five of GSAT-6's predecessors were launched by GSLV during 2001, 2003, 2004, 2007 and 2014 respectively. After its commissioning, GSAT-6 joined the group of India's other operational geostationary satellites. 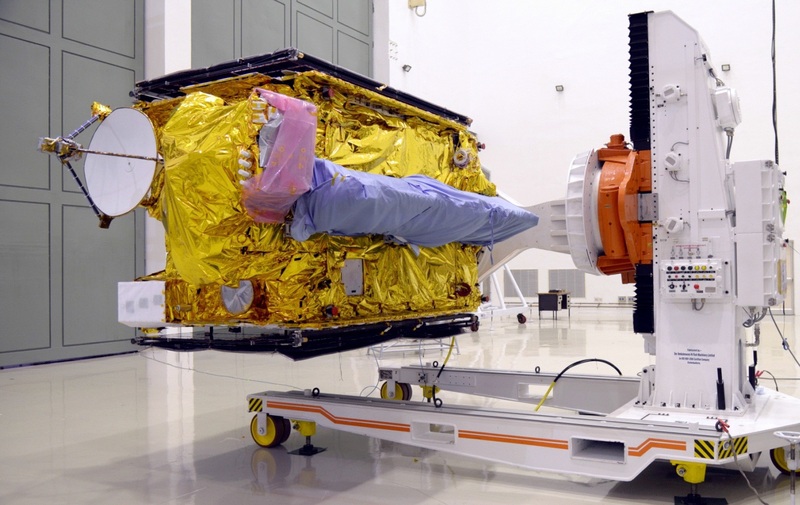 Soon after its injection into GTO, the two solar arrays of GSAT-6 were automatically deployed and the Master Control Facility (MCF) at Hassan in Karnataka took control of GSAT-6. Subsequently, GSAT-6's orbit was raised to the final circular Geostationary Orbit (GSO) by firing the satellite's Liquid Apogee Motor (LAM) in stages. The satellite was declared operational after the completion of orbit raising operations, deployment of its 6 m wide sieve shaped unfurlable antenna, the satellite’s positioning in its designated orbital slot of 83 degree East longitude in the GSO and in-orbit testing of its communication payloads.